Straatmann Feed & Transfer - Serving Labadie, Washington, Union, St. Clair, Villa Ridge, Eureka, Pacific, Wildwood, Wild Wood, Missouri with Feed, Farm, Seed, Services and More. Processed grain by-products, grain products, forage products, magnesium mica, calcium carbonate, molasses products, salt, grain products, plant protein products, vitamin A supplement, ethylemediamine dihydruidide, maganous oxide, copper, sulfate, zinc oxide, vitamin E supplement, vitamin D supplement, ferrous sulfate, sodium selenite, cobalt carbonate. 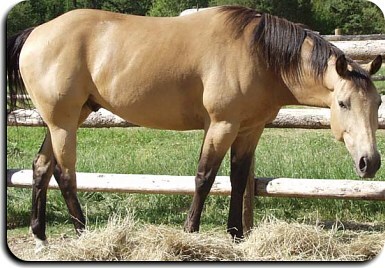 Feed with hay and/or pasture to make a complete ration for horses. Feed mature horses at a rate of ½ to 1 pound per 100 pounds body weight, along with 1 pound to 1 ½ pound hay or equivalent pasture per 100 pounds body weight daily. After observing your horse for a period of time, you may want to increase of decrease the daily feeding of Straatmann Country Pride Sweet 12 to keep your horse in the desired condition. The amount required will vary, depending on the quality and amount of hay or pasture consumed. Do not feed free-choice. Any feed changes should be made gradually over a period of 7-10 days. Changes in the rate of feeding should not exceed one pound per day for each horse. Feed at regular times-at least twice daily-with three daily feedings preferred. Reduce and/or delay feeding a horse which is hot, excited, or showing pain, fever, or diarrhea. Let horses feed in a natural position from troughs with larger bottoms, placed at normal head height or lower. Have plenty of fresh, clean water available at all times. Maintain an effective control program for internal parasites. Be sure that horses are free of dental problems. Prevent the rapid eating by the horses of any feedstuff. Observe your horses’ condition daily. Consult your veterinarian if any problems arise. Store feed in a dry, well ventilated area, protect form rodents and insects. Do not feed moldy or insect-infested feed to animals, as it may cause illness or death.